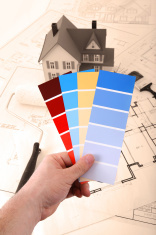 Baker Painting Company, servicing the West Allis, WI area, was established in 1997. We have an excellent reputation for treating our clients professionally and with respect. Our painting and staining services include: residential, commercial, new construction, remodel, and reconstruction projects. We are well known in the West Allis area for attention to detail, client satisfaction, reasonable price, and high standards. We will accommodate your schedule, provide adequate area protection, and perform complete cleanup when the project is done. Zip codes for West Allis, WI that we service are: 53214, 53219, 53227.